System administrators are going to love the backup solution Borg, which now can be used easier than ever thanks to Borgmatic's wrapper to automatically backup your data daily with a systemd service. Sysadmins will also like Samba’s System Security Services Daemon integration with an Active Directory. Leap, and the openSUSE project, provides the DevOps tool chain developers need to be successful. Microservices with Leap offer scalability and continuous delivery through the availability of Docker and Kubernetes as well as easy configuration with Salt, Ansible, and other openSUSE technologies. AutoYaST's new integration with SaltStack and other configuration management systems can take care of the system installation (partitioning, network setup, etc.) and then delegate the system configuration to one of those widely used external tools. After basing openSUSE Leap on SLE (SUSE Linux Enterprise) and adding more source code to Leap 42.2 from SLE 12, Leap 42.3 adds even more packages from SLE 12 SP 3 and synchronizes several common packages. The shared codebase allows for openSUSE Leap 42.3 to receive enhanced maintenance and bug fixes from both the openSUSE community and SUSE engineers. openSUSE Leap 42.3 offers a server installation option during the installation. With no graphical environment, a server install of Leap stands ready to do whatever you need from it. Something as simple as running a Web or Mail platform is easier than ever, as are complex projects using virtualization or container technologies. For example, users seeking an "Exchange-like" service can benefit from the latest version of the Kopano collaboration platform, including support for Thunderbird, Outlook and mobile mail clients. It’s also good to remember that Leap and all other openSUSE and SLE distributions have support for a full-featured text mode installer, giving all the same functionality as the graphical installer. The installer is fully capable of doing installations remotely using VNC or SSH, letting you set up your openSUSE Leap server without needing to be anywhere near it at all. Gaming on Linux becomes more and more popular. openSUSE Leap 42.3 provides a stable system to run the popular Steam platform. To run games not yet available on Linux, Wine and PlayOnLinux are also included in this release. Unleash your creativity with design applications like FreeCAD for 3D printing or Gphoto for imagery editing. Scientists can use Avogadro for computational chemistry, molecular modeling, bioinformatics and more. Health professionals also can choose GNU Health for patient care while being confident in the security and maintenance provided with Leap 42.3. See for yourself why openSUSE Leap is a community-enterprise distribution worth adopting. Downloads of openSUSE Leap 42.3 can be found at software.opensuse.org. We recommend checking out the Release Notes before upgrade or installation. Users currently running openSUSE Leap 42.2 can upgrade to openSUSE Leap 42.3 via the instructions at this link. openSUSE Leap 42.3 represents the combined effort of thousands of developers who participate in our distributions and open-source projects. “Thank you” to all the contributors, inside and outside the openSUSE Project. All your hard work and contributions are appreciated by the open-source community and users worldwide. 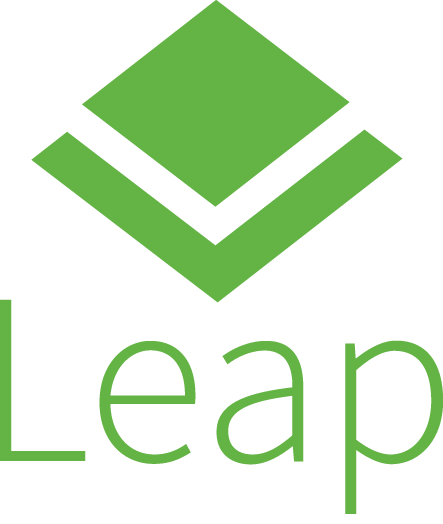 We believe Leap is the ideal Linux distribution for developers, sysadmins and users. We hope you have a lot of fun using it, and we look forward to working with you on the next release or in Tumbleweed. This page was last modified on 7 August 2017, at 08:26.